Various companies now provide this service. You can choose to sign up between the free and paid VPNs. But how would you know a good VPN provider? Some important factors to consider when looking for a reliable provider are the server location, connectivity protocols, logging policy, anti-malware feature and the price. You can search for providers at www.bestVPN.com. VPNs are of different types so make sure you choose one that fits your needs. There are virtual private networks meant for occasional use, for heavy downloading, for accessing locations restricted by companies and for people who simply want to enjoy safe and private internet browsing. Server Location – If you’re a frequent traveler and you want to access local restricted sites, make sure to ask about the server locations of your service provider. You may want to sign up to one that has multiple server locations. This is a very important consideration if you’re an internet user who wants to watch live TV shows or shop online when in another country. 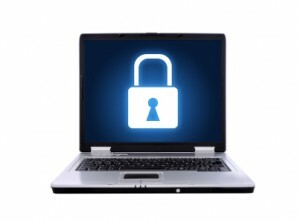 Anti-malware program – Some providers offer bundled services that include anti-malware scanners. It would be a good idea to get this one as it can ensure you’re not downloading viruses and Trojans that can affect your computer and other mobile devices. Even if you’re connected to a VPN, you are still vulnerable to malware and spyware attacks so it’s best to be sure about this.